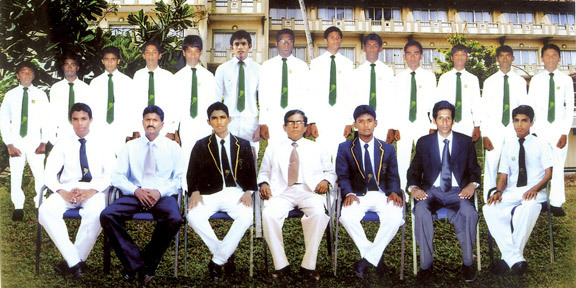 St John’s College (seated from left) Tharindu Dilshan, Thuwan Roshan (Captain), H G P Lakshman (Master in Charge), Gamini Wanigarathne (Principal), Hemamala Jayasinghe (Vice Principal), K I S Fernando (Coach), Nadeera Madhushan (Vise Captain), Dimuth Chathuranga. 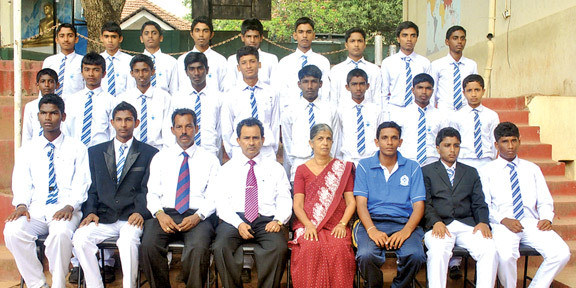 Standing (1st row from left) Isuru Sayakkara, Brian George, M Sapuwan, Dayan Niroshan, Riskhan Christy Cobri, Tuwan Sabeer, D Krishan, M Uswan (2nd row from left) M Sufras, M Salman, B M A Hakeem, M Nazar, M Ameer Usman, M Aslam, M Fuwad, M Abdulla, Nilam, M Rahuman Nilam. The 40th Battle of Dematagoda, the annual cricket encounter between St Mathew's College, Dematagoda and St John's College, Dematagoda will be held on March 27, 2011 at Railway Grounds, Mount Mary. All-rounder Mohamed Safran will lead the St Mathew's team and last year's captain Joseph Dickson, Kasun Rukshan, Imran Riza and Nipuna Madhusanka are the key players in this side. On the other hand St John's College will go into this battle under the captaincy of Thuwan Roshan while Tharindhu Dilshan, Nadeera Madushan and Dimuth Chathuranga are the most experienced players for their side. Jagath Hettiarachchi is the coach of St Mathew's College and K I S Fernando is the coach of St John's College this year.